I've got a lot of spring art on the blog today, thinking especially of those of you dealing with this year's second winter dervishing its way from Colorado through the Great Lakes and eastward. Since you can't see anything but blowing snow outside your window, I'm glad you stopped in here to take your mind off it. And I'm glad to see you have your beverage! That beautiful pink paper has a lovely sheen and the MFT frame is cut from glossy paper. 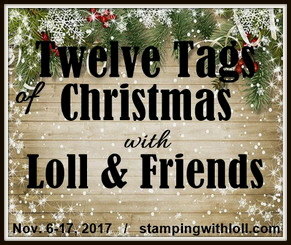 The white-embossed egg is from an out-of-business company, and the white-embossed sediment and vellum butterfly are both from Happy Little Stampers. Who's that, you ask? Hammy has his friend Fitzwilliam visiting and he kindly let Fitz be in the card shots today. They met online. We are taking care of Fitz while he has some corrective eye surgery at a well-known clinic here in the Bay Area. I know, right? You'd think the surgery would be for those rather large ears, unusual for a frog, but we don't embarrass him by mentioning it. Country View Challenges: Easter and/or spring. Rainbow Card Challenge: Perfectly pink. 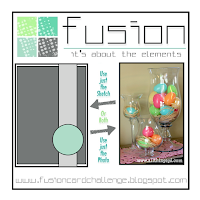 Fusion Card Challenge: Play with the photo ~ Easter eggs. Moving Along With the Times: That spring feeling. CAS on Friday #155: Spring. Memory Box Challenge #48: Clean and simple. Another CAS design, this time for a spring birthday card using Altenew's Beautiful Heart stamp set. 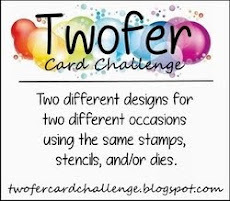 For this card I followed the brief laid out by host Susan at the CAS Mix Up Challenge. We are to use the technique of "layered stamping with heat embossing." I heat-embossed the flower using SU melon mambo and Ranger white e/ps, and for the leaves I used WOW olive and Ranger white e/ps. Another new technique to me and I have to say, it really does add a lot vibrancy to your images! I added some additional shades of pink to the flower with my Ziggies and popped it and the leaves on a leafy embossed background. Can you see the sediment? In order to keep all eyes on the flower, I simply stamped it with Versamark and white heat-embossed it for shine. Altenew April Inspiration Challenge: See photo below. The Card Concept: See photo below. I was inspired by the pink flowers for my clean and simple card style. 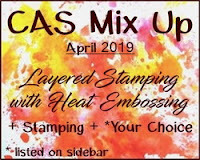 CAS Mix Up Challenge: Layered stamping with heat embossing, stamping, die-cutting, and dry embossing. As always, thank you for coming by and staying a very long time to visit the Playhouse! Special thanks to you if you took the time to join as a follower! Please let me know you came by, so I can be sure and return the flavor! PS Fitz is very photogenic ... I hope Hammy isn't jealous! Hi Darnell, Loving your beautiful cards. Wow you've been busy Darnell, what a gorgeous collection of cards you've made. I love the Spring card with the spotty wellies on. Thanks for the Fitzwilliam chuckle, Darnell. I do hope his surgery went well. I had no idea the ears were for real. I actually thought he had dressed up for Easter. You never know what these youngsters come up with next, do you? As for your card makes, they all have such a lovely spring feeling about them, and I do agree about the wellies. Gorgeous makes....especially love those spotty wellies! Your easter cards are wonderful. A very nice patterned egg in combination with butterfly in a simple and effective design. Spring cards (especialy the last one with green wellies) are amazing. It is a wonderful use of a die cut. The card with the layering embossing technique is a masterpiece. Nice flower on a nice background. Great mix of techniques. Oh my goodness Darnell, you really have got spring fever with all those cards coming - and each one wonderful!! How dare Fritz and Hammy collude to criticise your work... shh, I love the resultant polka dot gumboots though ;-). Oh gosh his a frog!!!. I only focused in on his ( Erm) ears and my mind decided wabbit! So sorry FitzWilliam. Perhaps they could fit me in for eye surgery at the same time as you. Now what's all these gorgeous flutterbies idoing on these cards along with the lovely eggs. The colours are fab. Hugs Mrs A.
Fitz is adorable, I confused him for a bunny at first but now I see that he is a frog, I hope he enjoys his visit with Hammy, although I don't envy him the eye treatment! What lovely cards. Especially the Freida curve cards. Love those. As for Fitz, being a bunny mysefl I tend to enjoy those big ears. So does the Easter Bunny so I hope Fitz keeps them and isn't embarrassed about them. I think he's like a cousin to the Easter Bunny. They both hop. I am loving all your spring projects today. Great shine on your Easter cards. Your embossed vellum butterflies look great; I don't think to use vellum nearly enough! I was really loving your spring note cards before Fitz's suggestion, but the addition of the rain boots and green on the background was awesome! 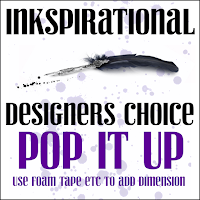 And I'll have to give the "layered stamping with embossing" a try! Thanks for all the inspiration! Our snow from yesterday has turned to rain today! So glad to see your spring inspiration! Simply delightful cards! You've been really busy with your Spring cards, Dolly! All this happy Springness will lift the spirits of those with snowy scenery. Beautiful butterflies and Easter eggs. Love the patterns on the eggs! The patterned paper makes a perfect backdrop for the lovely die cut foliage and the polka dot wellies make it fun too. Your layers of embossing on the flower make for an awesome single flower garden! I hope Fitz minds his P's & Q's and recovers quickly! D your cards are fabulous - LOve that gorgeous egg, and every other blooming thing about this Spring-y post! You certainly have been busy with the Spring theme. Just stunning! I have to get busy on these challenges! They are all great ! 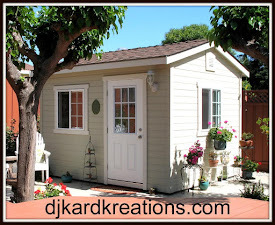 Thank you for joining our April Challenge over at Country View Challenges ! Another great of array of creativeness, especially love the ornate egg. I have various frogs in my yard and it began with a garage sale find which looks like a lump of concrete but it is unique. Happy spring and hope you are not suffering from allergies. Our yard is filled with luscious colors and aromas but my allergies are acting up. Thanks for all the spring inspiration. You do great work and I love all of them. The sheen on that first one looks awesome. I am sure missing not being able to make a card or two. But at least I am making progress on the cleaning. So that is good. Thanks for brightening up my April snowy day. Where to start commenting on all these gorgeous cards? Love the Easter eggs (they are reminding me that I need to treat myself to some chocolate Easter eggs!!) - such pretty colours. And your blue and white spring cards speak to my favourite colour combination!! I think they are perfect in just their plain version, though the one with the rubber boots is a lot of fun. My goodness Darnell you have been very busy! Incredible signs of spring in the playhouse!! each one is so fresh and beautiful. Those eggs are making their way to the top of my wish list! Well my goodness Darnell, what a wonderful selection of cards from you today. The eggs have the most gorgeous papers and so beautifully designed. But really all are beautiful. Darnell, a lovely spring visit to your blog for sure. 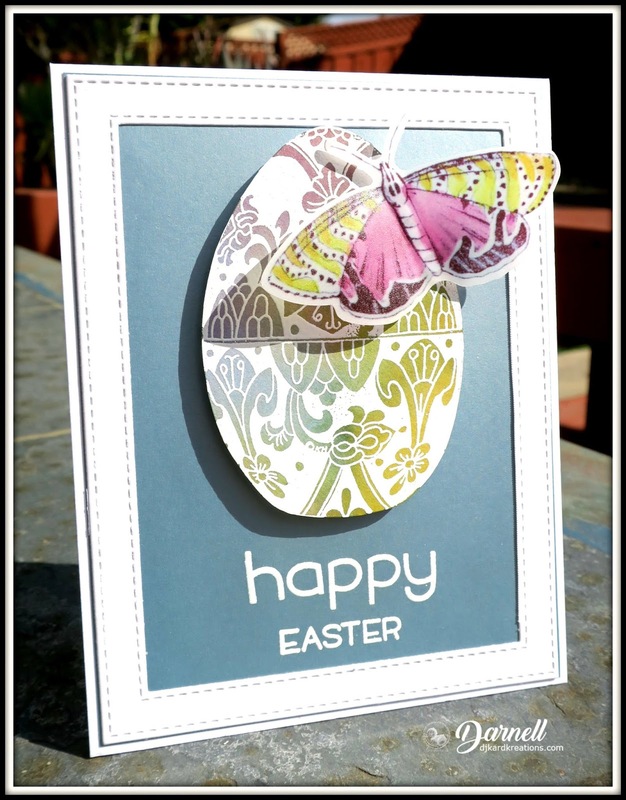 Your egg and butterfly creations are perfect for Easter and I love the variations. 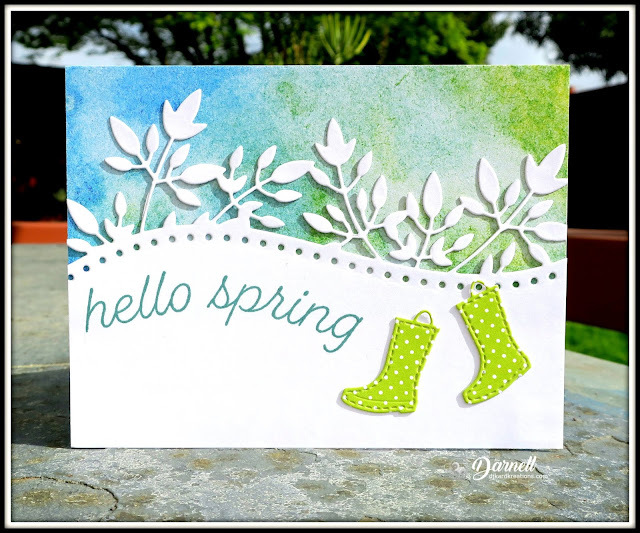 Your sweet spring card with the die cut panel definitely ups the cute factor wiht the addition of the wellies. And of course I love that you call them wellies. Your heat embossed layered on dry embossed panel is stunning. Well done...that technique scared me and I don't have many colored eps...but I might play when I return east. You've inspired me. Amazing bunch of cards, love the embossed egg and the snowy cards, so adorable, especially with those polka-dots wellies! Well you are really spoiling us here Darnell with some really fabulous creations, they are all superb and so was the fabulous card you sent us for our Anniversary, thank you so very much. Easter is, most definitely, coming to your house. What an awesome array of Spring colors and happy sentiments. Fitzwilliam seems to have made himself at home. He looks very natural amongst your card. Maybe his eyes don't need correcting. Perhaps, they're like that because it's mating season. I sure admire your ability to crank out so many cards! LOVE the egg cards! The blue background ones are my favorite, especially the one with the pink and green butterfly! I do love the addition of the dotty boots too! Although the CAS look of the others is just as pretty! So glad we don't get snow (much) in Texas! Just got a lot cooler, which was good as it was 90º on Wednesday! Rain and t-storms tomorrow! Have a fabulous weekend! Hugs! You've been a busy bee! These are all extra pretty Darnell. I'm loving the big bloom on the last one! 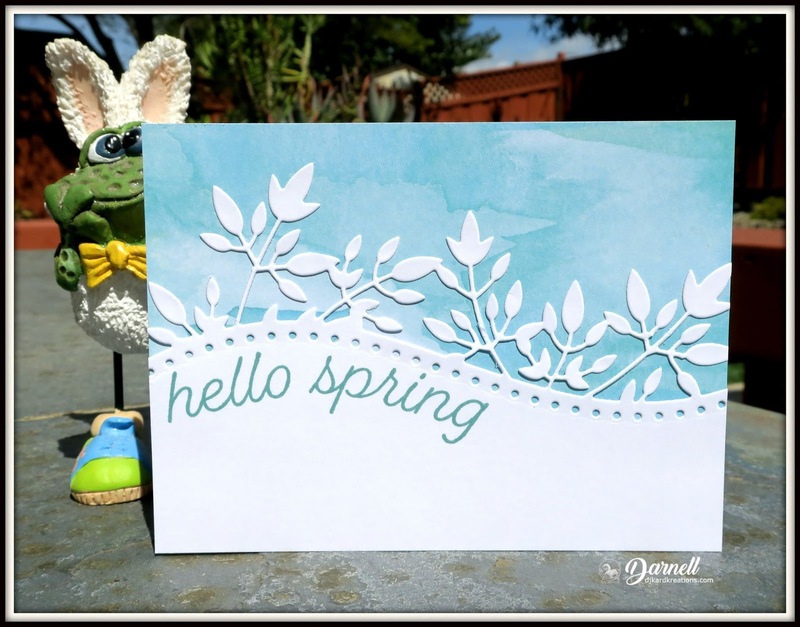 Gorgeous cards, I love the spring cards with that awesome curvy die! Thanks so much for joining us about at Cardz for Galz. Oh such lovely cards. The egg is gorgeous. Love the addition of the boots in the spring card. Hope Fitz's surgery goes well! Goodness, just seeing all these cards is inspirational. You got right down to business! I get a kick out of seeing whatever stamps and dies you're playing with. That egg is so pretty! And I love each one with a butterfly perched on top. Gosh, I was thinking how I love the Frieda Curve cards and didn't think they were missing anything, but then with the wellies they look so much more springy. I have a little group of those froggies all dressed up for Thanksgiving. They're so cute! Well, I tried my best to take a good, long look at those beautiful cards, but have to admit that Fitzwilliam kept distracting me. It's not his fault that I have such a short attention span but I already struggle enough with keeping my brain where it needs to be without a sassy frog in the way, haha! As for those cute little rainboots that you added...I notice that they're almost the same exact green as Fitz' shoes. 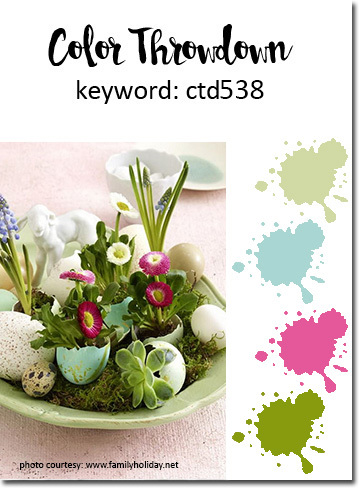 Those Easter egg cards are fabulous in all your color combos, and it's no wonder you used the egg in several different designs. Happy spring and happy Easter! Your spring-colored cards definitely brightened my snowy Minnesota day. We've had about 8" of the white stuff, but I think it's done now...'til next time. I love the simplicity of your egg and butterfly cards. The pretty papers add so much lovely detail that nothing more is needed. The leafy die-cut for the "Hello Spring" cards is gorgeous! I can see why you made several. And the big, luscious rose - its aroma has wafted across the mountains and found its way to Minneapolis!! Have a wonderful weekend. The layered heat-embossed flower is gorgeous! 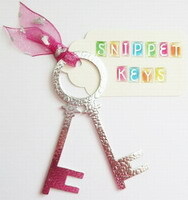 Adding the shades of pink is so effective and embossed background is a wonderful touch. Thanks for sharing this beauty at CAS Mix Up! Wonderful selection of cards Darnell! 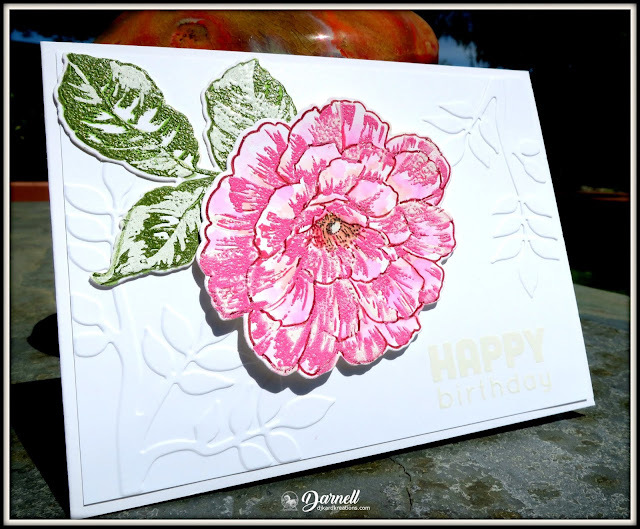 Your embossed flower for CAS Mix Up is awesome I love the palette of colours you used and the embossed background, thanks for joining us this month at CAS Mix Up. Beautiful cards - love the teal background and eggs. Wish I could be as productive! Wow, love all your cards. The blue & white Hello Spring is my favorite, without the "wellies". My mind is officially boggled. So many stunning cards, so much gorgeousness. You and Hammy must be utterly worn out after that mega craftathon. Oh my, you have been so productive and put me to shame Darnell! 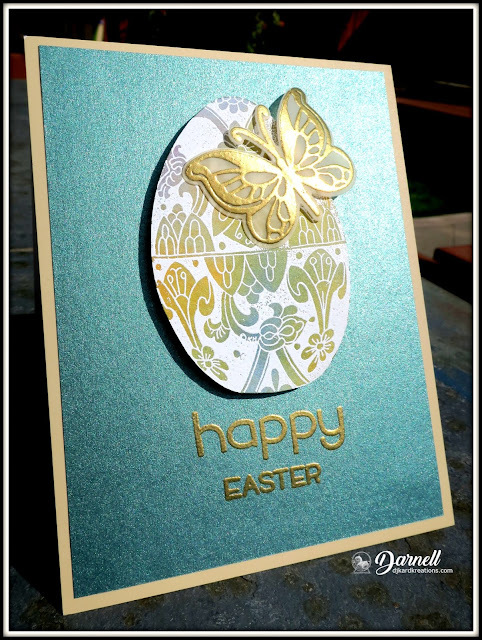 Love the pretty Easter and spring cards, and the layered stamping on the last one looks so professional. Good luck to Fitzwilliam for the upcoming surgery. 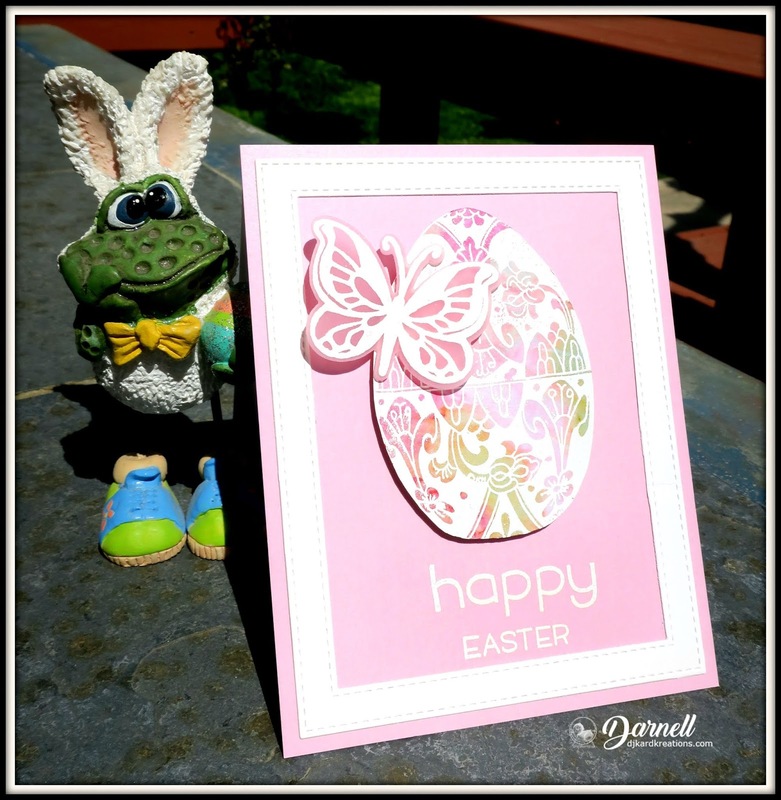 Fabulous set of Easter/Spring cards, Darnell! Hammy steered you right - the wellies add the perfect touch to your spring cards and I love the large Easter egg!! Goodness Darnell, these are all so gorgeous--and they just shout 'SPRING'!! Love those eggs and pretty butterflies. So sweet of you and Hammy to have Fitz as a guest while he's there for surgery!! What gorgeous springtime cards Darnell and Fitz is too stinking cute! And so excited it’s just one month away till we meet again! 🎉🎉🎉 YAY!!! I am in love with this beautiful flower! Thanks for sharing this pretty card with us at the Card Concept Challenge! Beautiful cards! They just ooze Spring and are perfect for Easter. Thank you for playing with us at the Cardz 4 Galz Challenge and hope you can join us again soon. WOW you've been busy! These are all fantastic. Thanks so much for joining us at The Card Concept. Wow! A whole basket full of lovely cards! Fabulous designs all! Glorious last card and so very beautiful and the technique looks fabulous. Love the green polka dot wellies, a great addition to the already wonderful cards. Wow to the Ester egg cards. The papers look stunning and love the shimmer and those fabulous butterflies. You have spoilt us again.....Thank you and also thank you for joining in The CAS Mix up challenge with your last stunning card x.
WOW...... a gorgeous array of springtime beauties!!! Fabulous colors/coloring, designs and detail - one more lovely than the next! Holy cow, you are on a roll with the springtime cards! Love all of them! 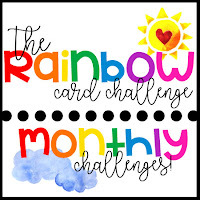 Thanks for joining us this month for our pink challenge at The Rainbow Card Challenge!